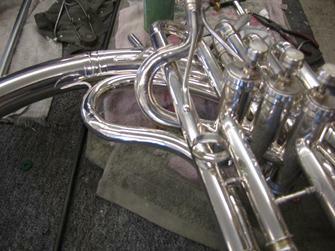 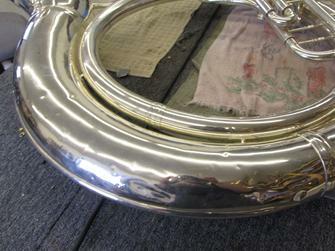 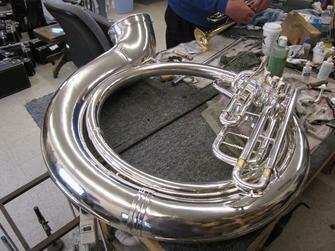 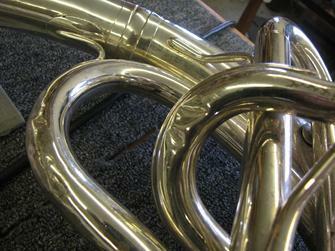 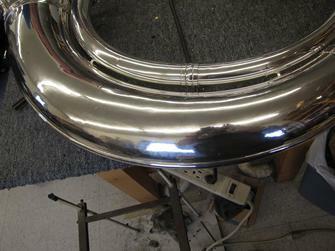 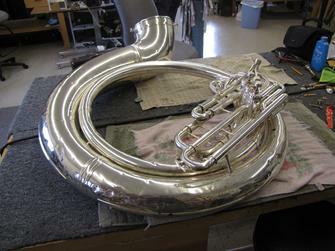 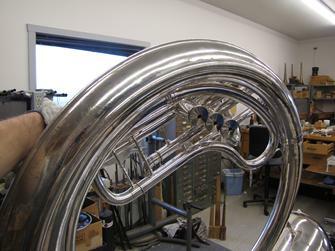 This Conn 20K sousaphone belongs to the 451st Army Band out of Fort Snelling, Minnesota. 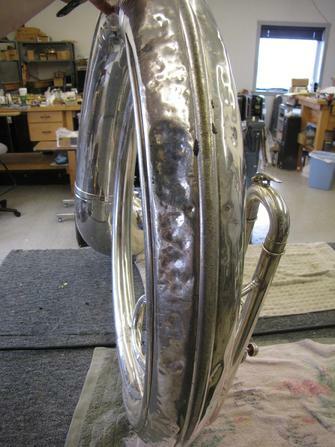 It's gone on a lot of missions over the years and has accumulated quite a few dents and scrapes. 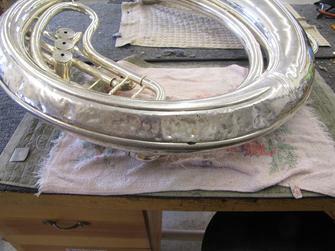 I thought it would provide an excellent opportunity to demonstrate the effectiveness of dent magnets on large instruments. 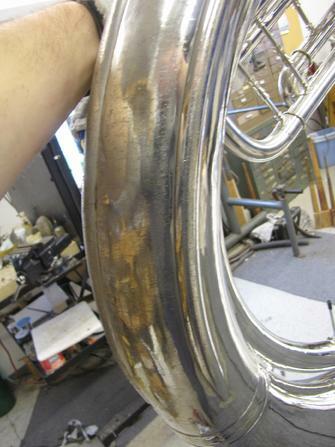 I have included before and after pictures as well as a short video demonstration of the magnetic dent removal system.